We just launched a sweet little game for our favorite monkey. 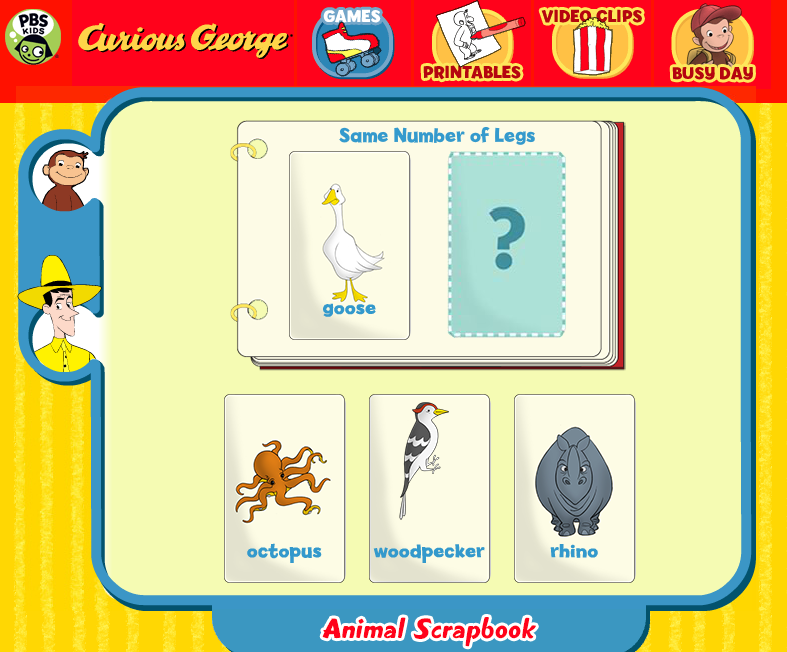 Kids sort animals by different common features or adaptations and can then decorate a custom scrapbook. Animal Game team: Gentry, Dennis, Jeff, Ayelet, Belinda, Mike A. and Kevin. Kal, Tara, Dave & Melissa are working on a new Fidgit circuit game for the DESIGN SQUAD NATION site. This is a design in progress for the reward screen of the game.